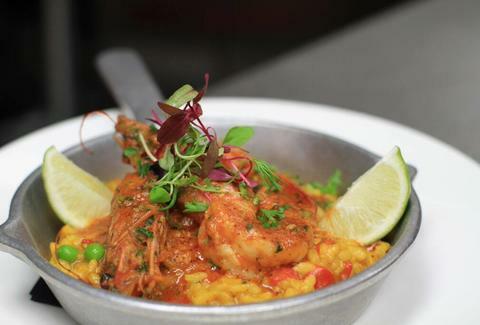 From fritas to gator bites and pastelitos, Miami’s got plenty of bucket list-worthy eats to keep you busy until you kick it. Here are 50 to get you started (and where to get ‘em! 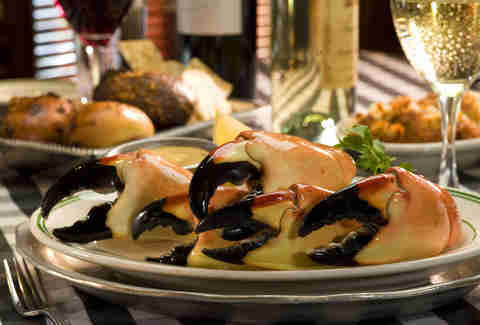 ), including a ton of foods that you can only get in Miami. Just do us a favor and don’t eat everything all at once... we don’t want our list to be the incredibly ironic reason you actually kick the aforementioned bucket. 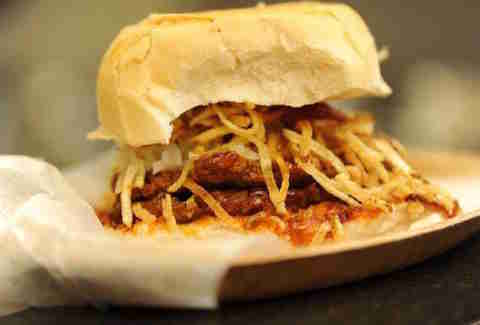 You’re not officially a Miamian until you’ve eaten a frita, the Cubano version of the American hamburger with papitas (aka matchstick potatoes) and secret sauce on Cuban bread. 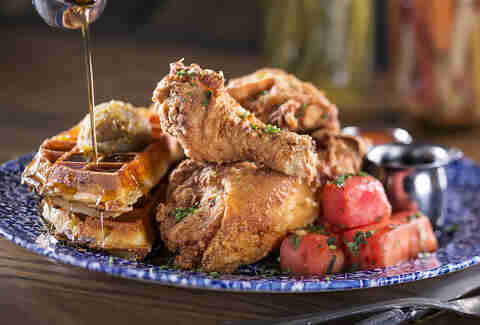 The combo of chicken, watermelon, and waffles is about as Southern as you can get, that’s why it’s the essential menu item at this Southern-inspired restaurant. With honey hot sauce, Vermont sharp cheddar, and Bourbon maple syrup, it satisfies all the taste buds. 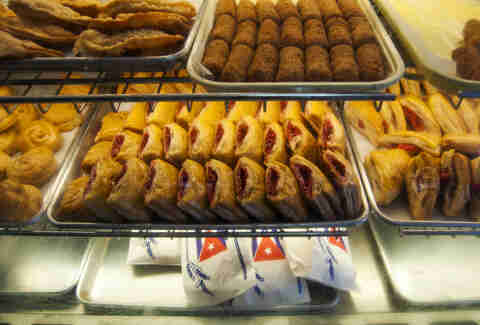 If you only eat one thing in Miami, it’s gotta be this mild and sweet local delicacy. Get it while it’s in season (October-May), and yeah, go on and wear that bib with pride. Vanilla ice cream is mixed with cubes of guava, fluffy cream cheese, and Maria cookies, then drizzled with guava syrup. 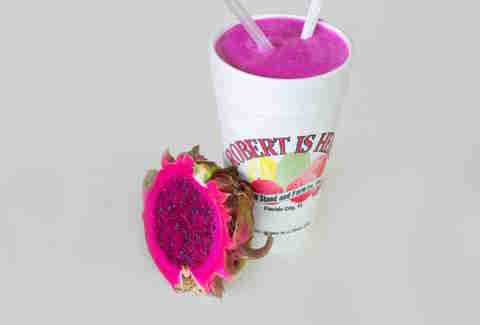 There are also other original flavors like café con leche (Cuban coffee & Oreos) and zapaticos de rosa (rose petal). 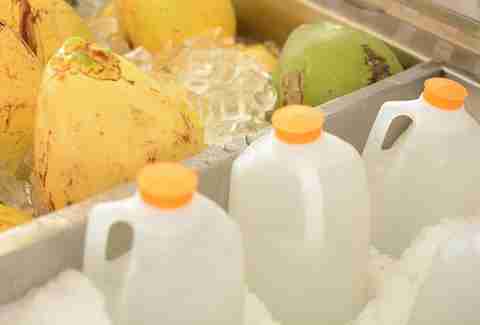 The last pit stop before the start of the Overseas Highway, it’s a fruit stand, food market, farm, and petting zoo that whips up the creamiest milkshakes in flavors like Key lime, papaya, tamarind, guanabana, and pineapple. 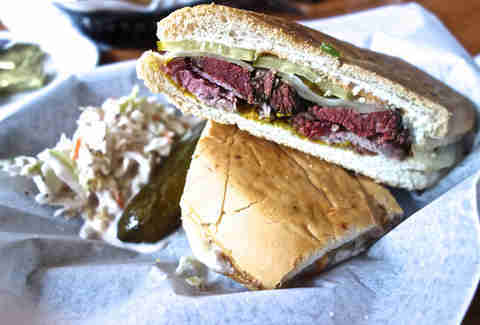 Josh adds Jewish flavors to Cuban classics, turning the Cuban sandwich into a one-of-a-kind Miami staple with pastrami, pork, pickles, Swiss, and mustard. 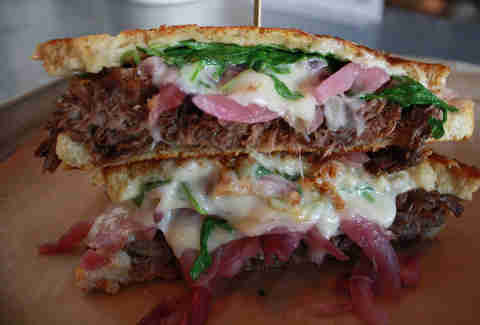 While all of the melts are addictive, opt for owner Fatima’s go-to with braised short rib, Jack cheese, pickled onions, and arugula on sourdough bread. Pro tip: the backyard is the best seat in the house, even in the summer. 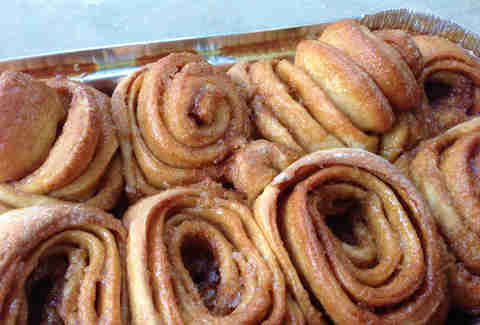 These fresh-from-the-oven sticky-sweet buns mean hours-long lines during tourist season, November through mid-April. Plan to get there early, 'cause they WILL sell out. For real! As one of the only spots offering food on the island, you can’t consider yourself a true Key Rat until you’ve had the World Famous Ted's Special, an open-faced English muffin with eggs, bacon, ham, cheese, and tomatoes. Bangin' Jamaican food is few and far between in these parts. Thankfully, this extra-authentic takeout spot will save you that trip to Broward with fresh-made patties with fillings like mild beef, spicy beef, curry chicken, jerk chicken, veggie, potato, the list goes on and on. 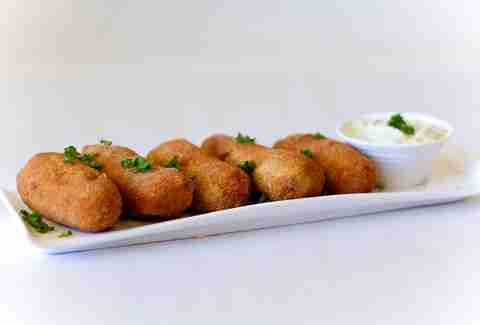 Finding a contender for the best croqueta is a highly debated topic, but these folks have mastered the whole crispy-on-the-outside and creamy-on-the-inside bit. The main location, out West, even has a drive-thru window for easier procurement. Yes, "chapulines" translates into "grasshoppers." Just don’t think about what it is and it’s the best bar snack you’ll ever have. 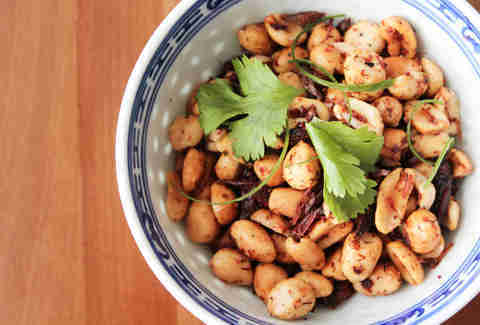 Plus, there’s peanuts and cilantro in the mix. 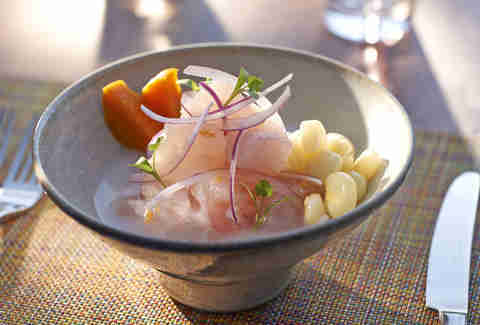 The clásico keeps it, well, classic with a pairing of fluke, cilantro, ají limón pepper, red onions, choclo, and leche de tigre and some of the city’s most stunning views. It’s also one of EDM darling Paul Van Dyk’s faves. Another rite of passage in Miami is rolling up to a ventanita, ordering coffee in perfect Spanish, and sipping it alongside Cuban senior citizens arguing over politics. If you do it at 3:05pm, Miami’s official cafecito time, even better. 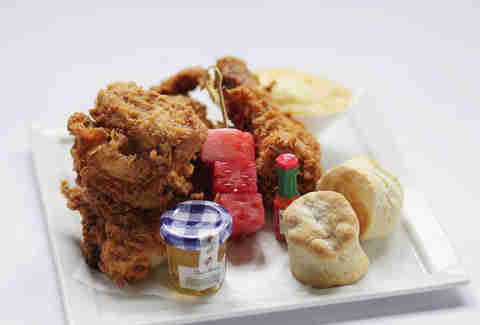 When Michy’s turned into Cena, the #1 question on everyone’s minds was, “What about the buttermilk fried chicken?” Thankfully, it brought back the Endless Fried Chicken Feast. The downside is that it’s only available on Wednesdays during summer. Here’s hoping the place brings it back full time. 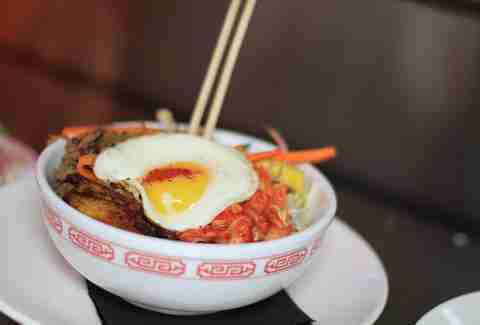 This bowl of rice, vaca frita, carrots, zucchini, black beans, maduros, bean sprouts, kimchee, and fried egg is the personification of the restaurant’s mission, which aims to perfectly fuse Cuban, Peruvian, and Korean cuisines. Plus, it’s big enough to feed you for at least two meals. 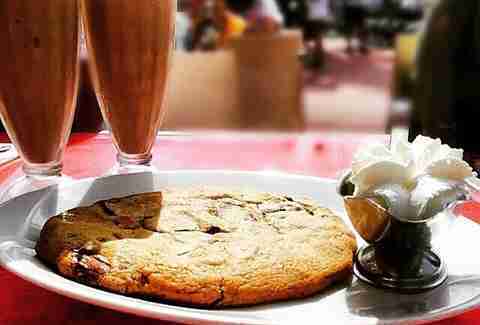 To cookie or not to cookie? That's never a dilemma here with these ooey-gooey, chocolate chip-heavy giants. For a long time, Miami existed in a state of breadless limbo. Behold Zak Stern, our carb savior and the city’s foremost purveyor of bread. 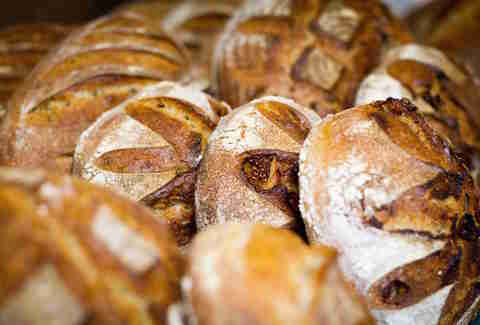 Loaves at the flagship location sell out quickly, so get there early if you want to stock up. 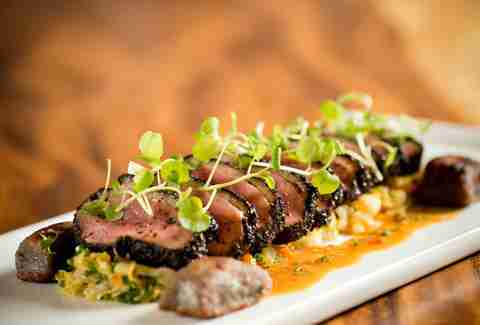 PB bumps that whole gastropub thing up a notch or two to James Beard standards with eats like this dumpling version of pastrami on rye that includes white cabbage soy, Thousand Island, and caraway powder. 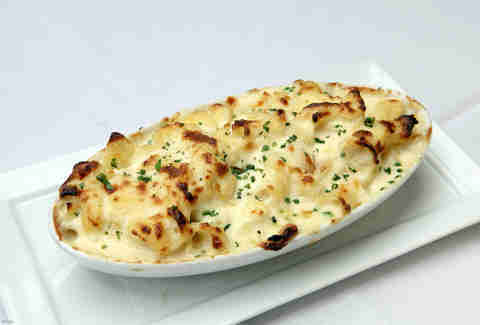 More famous than its steaks is the mac and cheese, made with Mornay sauce and four cheeses. Want to trick it out with lobster? Sshhh, it’s a secret menu item, but always available upon request. Nothing is more satisfying after a night of partying (or anytime, really) than a large slice of greasy pizza, especially pepperoni. Fold in half. Eat. Repeat. Whoever in history thought of wrapping some plantains in bacon is a genius. Here, sweet and salty flavors are topped with guava and cheese. The only problem is that only five come in an order, so you should get two of ‘em. 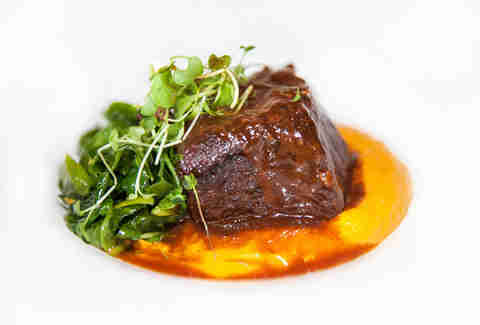 We’re pretty sure it’s one of Miami’s most important restaurants because of this extra-tender 24-hour braised short rib dish. As a personal favorite of chef-owner Adrianne Calvo, it’s never coming off the menu... and for good reason. Maine lobster, Gruyere, and Mornay sauce are combined inside flaky phyllo dough and served in a retro toaster with Tabasco hollandaise and tarragon aioli sauces. 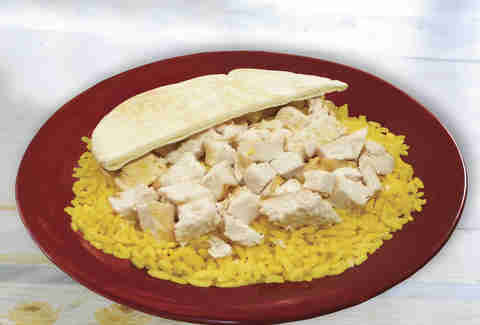 Not only are these the cheapest option on Calle Ocho, but they are also extra fresh, flaky, and loaded with ingredients. Plus, they get the approval of the Latin abuelitas, who you will most definitely bump into while ordering. A standard of the restaurant, it’s an upscale take on “coffee and eggs,” as the steak comes with a goat cheese frittata. Coffee makes the steak extra tender and adds an interesting outer texture. Whether you’re wakin’ and... um, something that rhymes with “wakin,'" or just wakin’ normally, these pancakes topped with condensed milk syrup, vanilla butter, and candied Cap’n Crunch will definitely cure your munchies. It can be eaten as an app, on pita, or as a platter, and every order comes with a grand selection of small salads and picklings, ‘cause the owner, Itzik Younis, aims to please. Even in winter, it’s too hot for polenta. 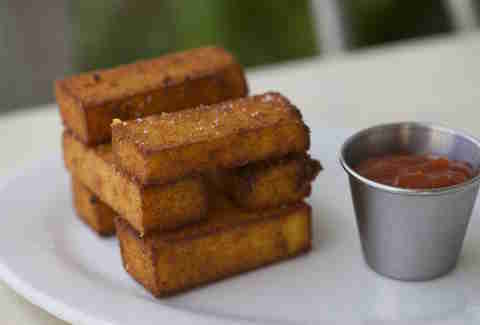 Thankfully, these are reworked to be fries, which kind of look like Jenga blocks, but are fries nonetheless. 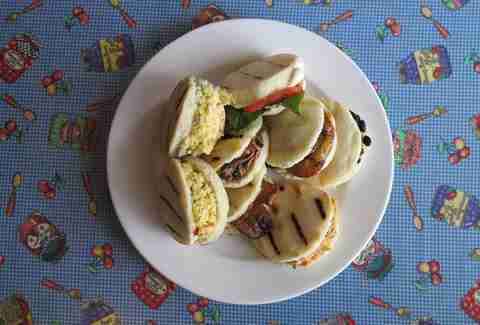 At this Venezuelan eatery, the traditional grilled corn cakes are split and stuffed with anything and everything from cheese to beans, eggs, avocado, plantains, beef, and chicken. That’s just the tip of the iceberg. Speaking of which, this spot does iceberg lettuce too. Along with everything you’d expect from an old-school Cuban joint -- the small counter, multiple low-key tables, and Spanish all around -- it offers one of the most traditional Cubanos in town. It’s only open for breakfast and lunch, so plan accordingly. 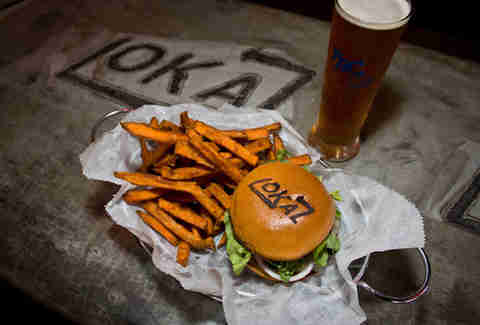 The best burgers are the ones that are simple and hyper-local. This one is a true Florida lover with Florida grass-fed beef, local honey mustard, Jack cheese, and Florida avocado and tomatoes. 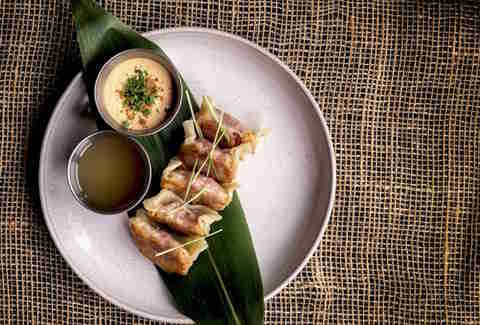 Chef Richard Hales is on a mission to get Miamians to start eating weirder ingredients, especially those that lean towards the offal variety. He’s starting us off slow with crispy duck necks served with fake MSG. It’s working ‘cause it’s one of the most popular dishes on the menu. One of the only bakeries in town owned and operated by actual French people, BVD’s home to the most legit croissants this side of Paris, which find that harmonious balance between buttery, crunchy, and flakey. Arroz con pollo is hard to make when you don’t have an abuelita or mamita guiding you. 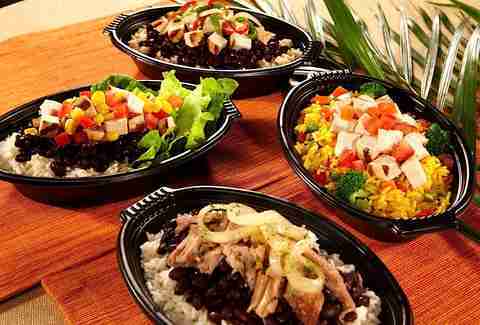 That’s why this homegrown fast-food chain is so popular. Not only can the rice and chicken chop chops be spruced up with items like beans and sour cream, but they are on the healthier side. Just don’t forget the mustard curry sauce. 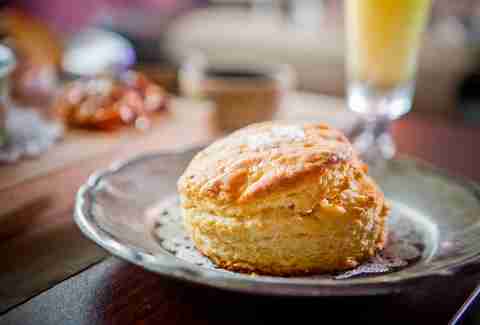 The restaurant could downsize to this single menu item and still be incredibly successful. Very few things beat decadent mushroom-stuffed ravioli in a Champagne truffle sauce. There’s this thing called Florida fare, which includes conch, frog legs, and gator and you don’t even have to go that far into the Glades to try it out. Ease into the culture under a thatched roof with these tender little fried bites. They taste like chicken nuggets (only better), we promise. Satisfy your umami fix without the heavy meats. 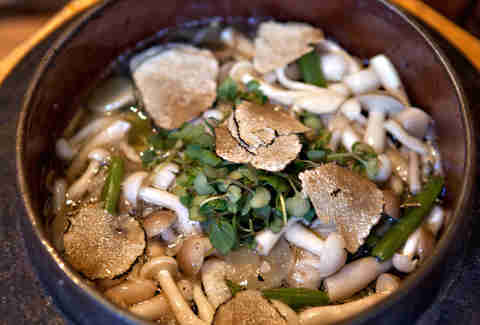 This rice hotpot is extra woodsy with tons of wild mushrooms and Japanese vegetables. 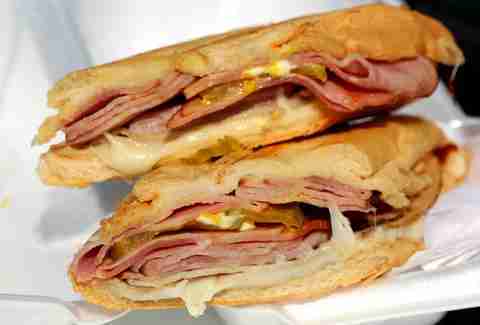 As one of Miami’s cult classics, this revered sandwich needs no intro at all. 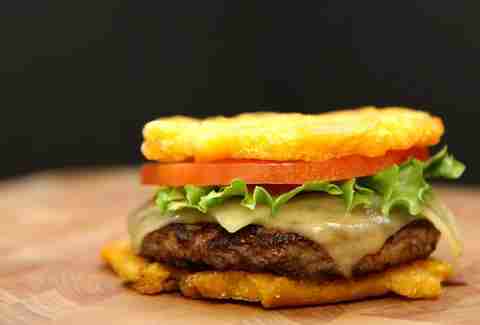 Best of all, you can have it your way -- in a wrap, with honey mustard, built up, built down, whatever. Just like The Lokal, this one also keeps things simple. 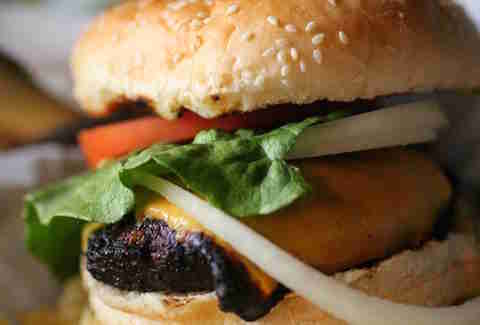 The 3/4lb patties are grilled to order and served with cheese and the good old standbys of lettuce, tomato, and onion. Tater tots don’t get enough love these days. 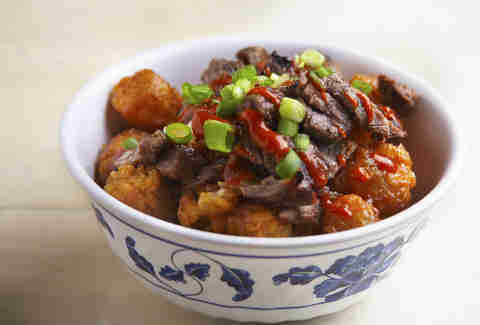 They are more than frozen lore, especially when they are fresh made and topped with bulgogi (marinated beef). Wings don’t always have to be fried. Case in point, these chargrilled versions smothered in signature sauce and Worcestershire pass the paper towel test again and again. Fluffy, light, and just a little sweet with a honey apple cider glaze, they’ve been ranked as some of the best in the country. And just because they’re jumbo, doesn’t mean you’ve gotta share. The food here is fine, but the juice... oh, the fresh-squeezed juice! 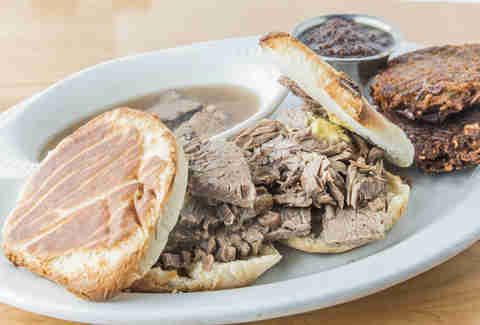 Named after local director Billy Corben, the plate includes two sandwiches of braised brisket on Portuguese muffins with Dijon and dipping jus, plus a side of potato latkes and applesauce. Oft referred to as perros calientes, the hot dog is served with cheese, potato chips, and five different sauces. Loved by intoxicated and sober folks alike. 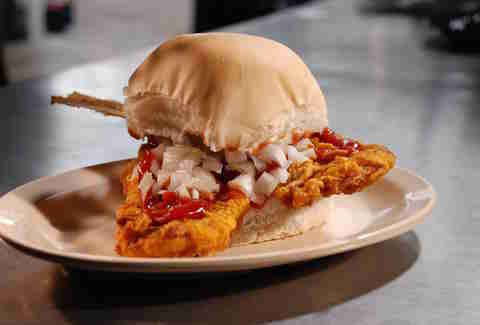 Fresh local snapper is deep-fried with the tail on, placed on a Cuban bun, and topped with chopped onions and secret sauce. The tradition dates back to Cuba where the Garcia brothers mastered the art of fishing, and then eating said fish, over decades. 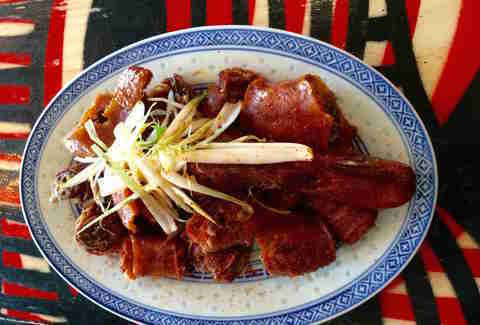 Whole pigs are roasted in Caja Chinas from Thursday through Sunday and portions are carved tableside. 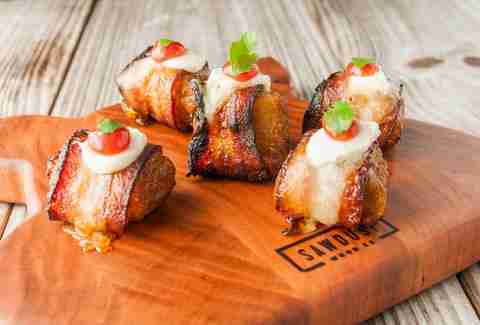 Be prepared to cheer as the pig makes an appearance every time someone orders it. Miami native and freelance writer Mandy Baca (@mandybaca on Twitter) is taking a food-induced nap after eating all 50 items on the list. Maybe.